When you pass a billboard, you have an average of seven seconds to read it. Sometimes less, as with the billboard on US 101 northbound into Oxnard. Because of the Del Norte freeway overpass, the billboard is not visible until you pass under it, cutting the time to get the message to about five seconds. 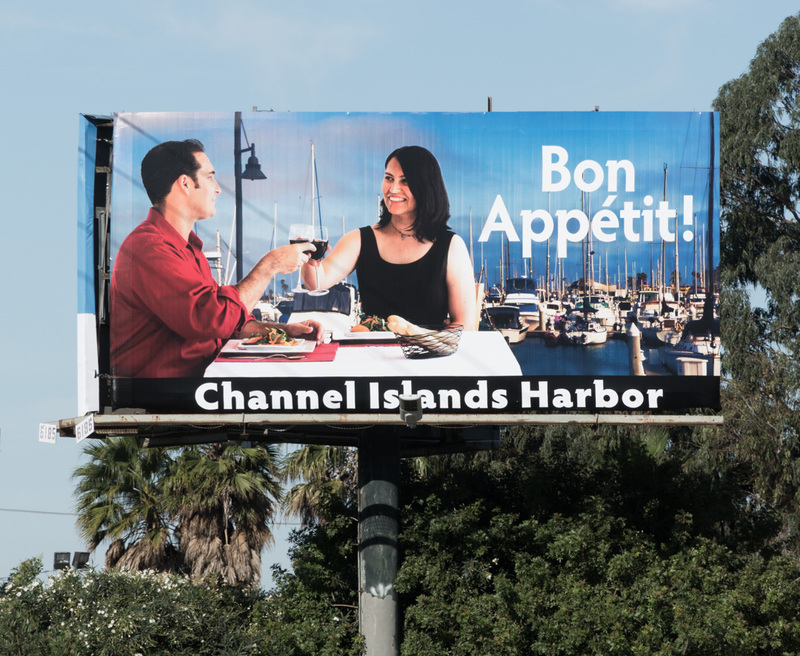 In this case, the message was how much fun it is to dine among the water and sailboats at Channel Islands Harbor–three things in five seconds. 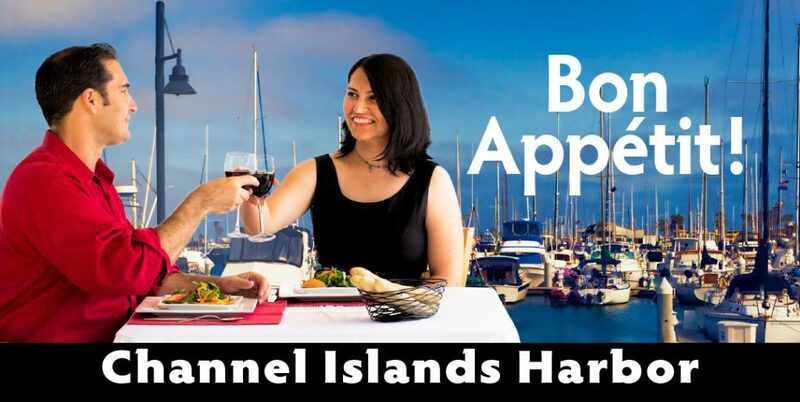 The first thought was to photograph models at one of the fine restaurants at Channel Islands Harbor. But a single image could not be simple enough to make the statement, not to mention the logistics of shooting in an open restaurant. So we did a composite. 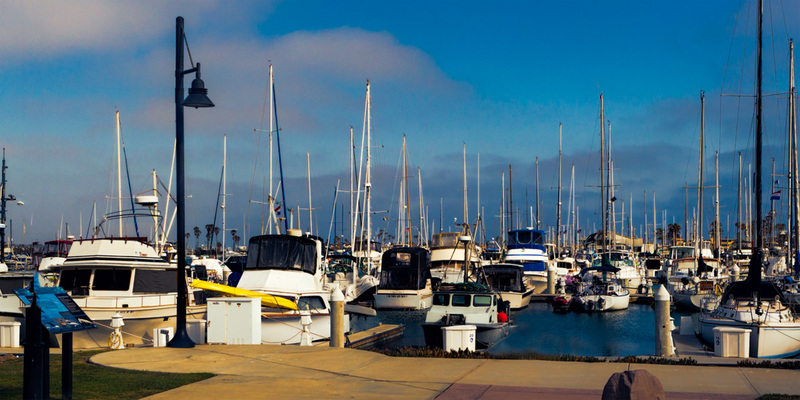 I first photographed various near-sunset scenes at the harbor to use as a background. Next, I photographed my models against a clean backdrop, using props from the defunct Whale’s Tale. The art director on this project, Elena Trevino, was on hand to help direct the shoot. Afterward, she chose one of the harbor backgrounds and the diners image. I composited the two images and handed them off to Elena. She did the rest.